Gina Fiandaca will serve as Austin’s assistant city manager overseeing mobility, that city announced Tuesday. 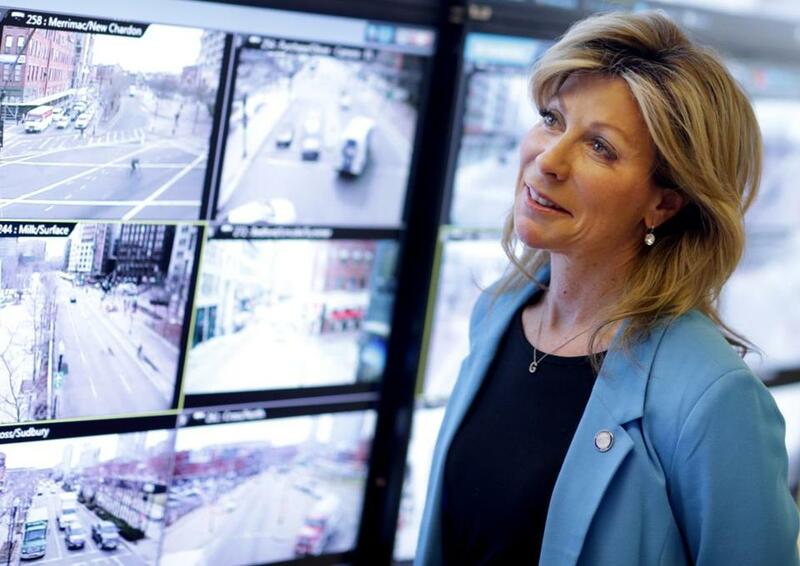 Gina N. Fiandaca, the city’s head of transportation since 2015 and a lifelong resident of East Boston, is leaving Mayor Martin J. Walsh’s administration for a post in Austin, Texas. Fiandaca will serve as Austin’s assistant city manager overseeing mobility, that city announced Tuesday. The city of Austin described the mobility department — with a focus on “where we want to go, when we want to get there, safely and cost-effectively” — as a key part of the city’s master plan initiative. Fiandaca had been part of the Boston 2030 planning project. Her last day with the Walsh administration is April 19, and she is slated to start in Austin on May 6 with a salary of $235,019, according to the Austin American-Statesman. Fiandaca made $145,000 in Boston in 2018, according to city records. “I wish her the best in her new role, and extend my sincerest gratitude to her for all she has been able to help us accomplish on behalf of our residents,” the mayor said. As commissioner of the Boston Transportation Department, a Cabinet-level position, Fiandaca ran a department of more than 400 people who oversaw the city’s 850 miles of roadway. She also served as chair of the Boston Air Pollution Control Commission and was a member of the Boston Public Improvement Commission and the Boston Emergency Management Agency. She received a bachelor’s degree from Suffolk University and an MBA from Boston University. Fiandaca is one of a few Cabinet-level executives to leave the administration in Walsh’s second four-year term. The city’s former director of operations, Joseph Rull, left early in Walsh’s tenure, and his former chief of staff, Daniel Koh, left for an unsuccessful run for Congress last year. Felix G. Arroyo, the former chief of health and human services, was fired amid allegations of sexual harassment in 2017. And Austin Blackmon, the former environmental chief, left last year for a job in the private sector in the San Francisco area. With Fiandaca’s departure, Walsh’s office said that the mayor will review the structure of the transportation department, which falls under Chief of Streets Chris Osgood, who oversees public works as well as transportation.